While their motto is kind of cocky I must admit I was interested. You see, I love, love, love coffee and for the proprietors to make this type of claim really peaked my curiosity. I walked in the doors with HIGH expectations. The decor was a bit rustic. Not a lot of frills but this makes the experience of coffee drinking exciting. In fact, it speaks to my coffee lovin soul. I sat down in my cozy seat to the smoothest latte I had ever had. I mean it was perfect. It was delicious. It was grand. It was the best “d___n” coffee I had! For real! I simply fell in love with this place…..this coffee. I truly bypassed two other coffee spots (one being SB) to indulge in this experience over and over again. Day by day! Whew! Until one day, my husband and I went to this great establishment to get a “Roadie” before our trip down south. I walked to the door eager, mouth-watering in anticipation of…. You know….. “The best damn coffee in DC”. The door was locked! I pulled the door. I pulled it again! I finally read the sign telling customers that the store was closed. My heart was broken. You see this had become My favorite spot in Capital Hill (Washington DC). 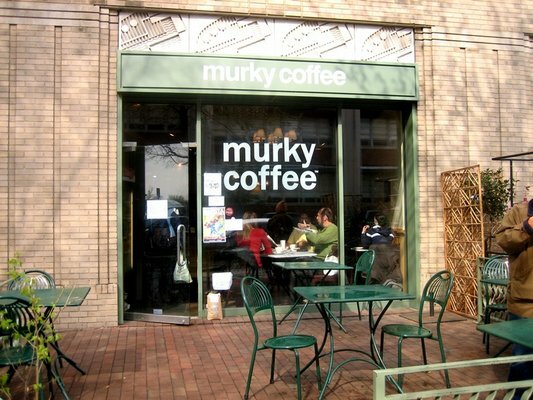 Murky Coffee: Have you been there? Do you know what I mean? How I feel? Miss you Murky Coffee……..